If your child is due to start school next September 2019 you will need to apply for a place online. The application process opens on 12th November 2018. The deadline for applying for a place is 15th January 2019. This deadline is important. If you do not apply by this date, it is unlikely that your child will get a place at your preferred school. 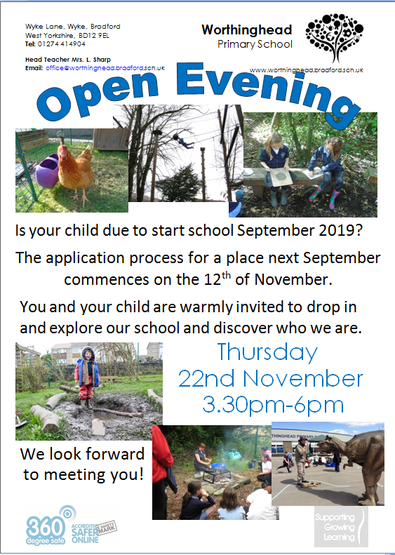 Our Open Evening is on November 22nd. Drop in anytime between 3.30pm-6pm.